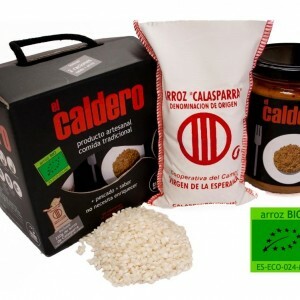 EL CALDERO with ecological rice. 2 portion pack. 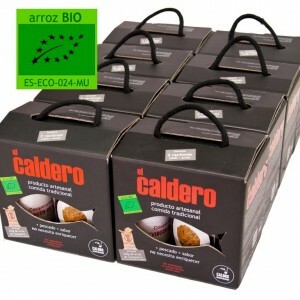 Comprando 1 caja con arroz de 8 unidades, el envío te sale gratis. 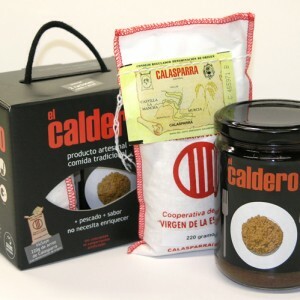 Our “Caldero” is a traditional dish from the Mar Menor, in the Mediterranean area of Murcia. It has an intense taste and is difficult to make well. It was created by the fishermen in the area using rice and rock fish and with other local ingredients such as dried peppers, tomatoes, olive oil and garlic. Caldos Mediterráneo has recovered this historic recipe and brings it to your table home-made with natural ingredients, so that you can prepare it in the simplest way, with very little effort: boil, serve and enjoy. 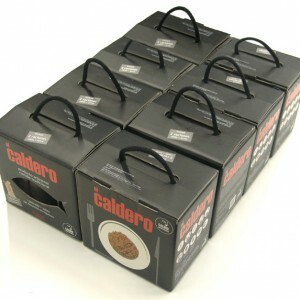 It’s never been easier to eat authentic caldero at home. Buy now at our online shop. Recibe noticias de Caldos Mediterráneo. Today's Food S.L. © 2018.